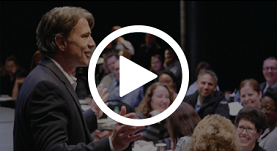 The Art of Customer Service...Influence with Ease - 134 minute online seminar. View the course as often as you like from any computer or portable device over an entire year. Already ordered this course? 134 minute online seminar. View the course as often as you like from any computer or portable device over an entire year. Jeff believes that smart customers no longer value you as an information provider. For information, customers can search Google in less than a second and it’s free. Free is worthless. Fortunately however, there are 3 core elements that customers do want from you – better yet to receive them, they are willing to pay a premium. You’ll discover how to apply these 3 elements so you’re perceived less as an information provider or order-taker, and more as a Trusted Advisor. Whether you and your team members deal with external customers or internal coworkers you’ll learn valuable skills that generate immediate results. 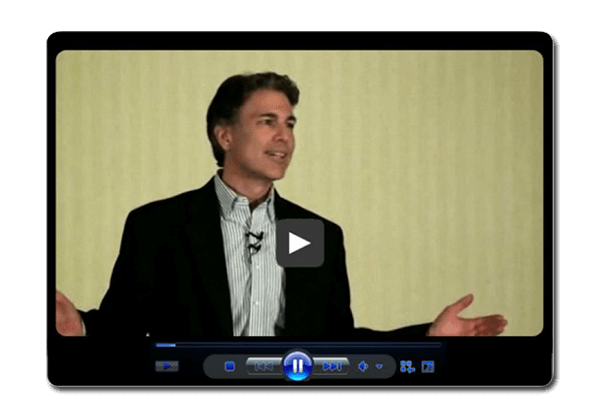 Treat yourself to this entertaining, informative video with Hall of Fame speaker, Jeff Mowatt B.Comm, Certified Professional Speaker. Jeff knows his stuff. He didn’t just read the book – he wrote it! He’s the best-selling author of the books, Becoming a Service Icon in 90 Minutes a Month, and Influence with Ease. He heads his own training company and has written and produced four self-study training systems. His Influence with Ease column has been syndicated and featured in over 200 business publications. Jeff has exercised influence himself as a 26-year customer service strategist, former national president of the Canadian Association of Professional Speakers, and business owner. You’ll stay current. You have no doubt noticed that technology is changing the ‘face’ of customer service. Traditional ways we used to interact with customers, win their trust, and keep them coming back are becoming irrelevant. You’ll discover 3 of the most significant trends in customer service, and how you can position your organization to capitalize in response. Ignore these trends and you may find your business model is becoming obsolete. You’ll learn something. If you’ve ever attended a conference where Jeff was the speaker, you know that he goes beyond theory and wishful thinking. Instead, he shares unique Influence with Ease tips that work in the real world. No matter what level you’re at in your organization, you will learn concepts that earn and hold your customers’ trust – even when things go wrong. The video format enables you to see Jeff from anywhere at any time. We’d love to see you at one of our live events; whether it’s one of our public seminars or when you are bringing Jeff in to do a customized version for a private group or conference. We recognize however, that depending on your location, timing, staff turnover, or training budget, this may not be practical. With this online format you can view the course from any computer or portable device as often as you like over an entire year. It’s economical. The fee for this online seminar is only $275 per person. In terms of return on your investment, consider the payoff of each team member gaining and keeping just one repeat customer as a result of this training. How much does it cost you when an employee inadvertently loses a single repeat customer? Take advantage of this opportunity to improve your own skills and show your employees that you believe in them and expect them to continuously improve their service. You’ll enjoy it! People pay more attention, learn faster, and retain more when they are entertained. Influence with Ease is a fascinating topic presented by a master certified professional speaker that can enrich your communications with just about any other human. With Jeff you’ll laugh and learn. That means boosting your business and morale. You’ll earn a course certificate and possible continuing education credits. To enhance learning retention and ensure that all staff are responsible for completing the seminar, participants will be provided with multiple choice test questions. Upon successful completion, participants will receive a certificate which, depending on their professional accreditation governing bodies, often qualifies for CE credits. It’s an opportunity to grow your business. The short-sighted approach to deal with price-cutting competitors is just to respond in kind; cut prices, operate on a shoe-string, hope for better times. The problem is customers will always be able to find someone else willing to provide similar products or services cheaper. Savvy managers realize your best option to prosper is to become a category-of-one, by simply enhancing the skills of the people you already have. You have two choices when faced with competitive pressures… you can either take refuge or take action. Very likely the BEST customer service seminar I’ve ever attended. Content, examples and real life practical approaches to use were right on the mark. This investment in your people will pay for itself over and over. Jeff’s seminar provided new tools for us as leaders to enhance and improve our relationships. On a normal shift I would regularly have at least 3 people freak-out and start complaining. Since using Jeff’s techniques over 4 weeks ago, I have not even had one patron become cross!!! These simple life-changing skills not only make the customers feel better, but also the employees! I don’t leave work angry because of the rude customers…Awesome! Fantastic job! Jeff has effectively shown staff easy, authentic and effective ways to influence and service our customers both internally and externally. It will encourage our staff to present a more professional image to members. I learned more from Jeff’s seminar in one session than I have in all the others I have attended over the years. I wish our entire staff were here to hear what Jeff had to say.